"Nigel is exceptional in every respect. He has wisdom and fine judgement, and knows how to run a case with steel, but without unnecessary aggression. He is also the go-to choice as a private FDR judge – if he can't settle your case, no one can." In October 2017 The Legal 500 described Nigel as “probably the leading London family silk”, and in November 2017 Nigel won the Chambers & Partners’ ‘Family Silk of the Year’ award. Last year, 2018, he won the LexisNexis Family Law silk of the year award. He is sought after by leading solicitors as being one of the foremost experts in financial remedy cases, particularly those which are complex and involve an international element. He has been instructed in many of the leading family law cases, mostly recently in Owens v Owens before the Supreme Court, a case which caused the government to embark on reforming the law of divorce. In 2016 he represented the applicant and obtained an award of £453.5m, which is the largest reported divorce financial award made by an English court. He is renowned as one of the Family Bar’s leading specialists in claims under Part III of the MFPA 1984 for financial provision after a foreign divorce, having successfully represented the wife in the landmark case of Agbaje (2010) before the Supreme Court. In 2013 he acted for the wife in M v M and obtained an award of c.£54m, the largest reported Part III financial award made by the English court. Nigel has one of the best reputations at the Family Bar for dealing with family cases that involve disputes about the ownership of assets, and which require the tracing of assets across various jurisdictions and through complex business and fiduciary structures. He has appeared in various quasi Chancery cases which has been determined in the family court. Nigel receives instructions from overseas jurisdictions, and in 2011 he was called to the Bar of the British Virgin Islands. He has appeared in that jurisdiction in an application for freezing and disclosure orders against BVI nominee entities, as well as representing BVI companies against proprietary claims based on the applicable marriage law. 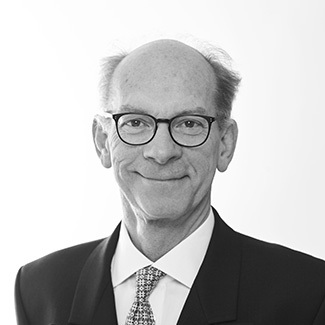 Nigel is also well known being the “go-to choice as a private FDR judge” (Chambers and Partners 2019). Described by one leading silk as “..providing a Rolls-Royce service” he conducted 35 private FDR hearings in 2018 which, on an informal poll, resulted in a settlement rate of c.90%. Financial remedy claims, often involving disputes about jurisdiction and assets held in offshore structures. Waggott v Waggott  2 WLR 297, CA - sharing of post separation income and clean break financial awards. Owens v Owens  AC 899 – the Supreme Court dismissed an appeal against the dismissal of a divorce petition. R v B & Ors  EWFC 33 – the effect on the award of a party’s conduct during and after marriage (long running fraud committed on family company). Z v Z (Legal Professional Privilege: Fraud Exception)  4 WLR 84 – circumstances in which the privilege is lost through iniquity. AAZ v BBZ  EWHC 3234 (Fam) - largest reported financial remedy award (£453.5m) made by an English court. WS v WS  EWHC 3941 (Fam) – approach to adopt to equalising pension assets when pension sharing not available. S v S  EWHC 23,  EWHC 4054 (Fam) – long-running dispute about whether shares in a family company were held on a constructive trust. SC v YD  EWHC 2446 (Fam) - whether offers made in the course of a relationship breakdown could be considered to be made without prejudice. CR v MZ  1 FLR 22 – dispute about ownership of matrimonial home held by off-shore company and use of sham documents. M v M  1 FLR 439 – largest financial remedy award ever made following contested proceedings; dispute about husband’s ownership of companies. AC v DC  2 FLR 1483 – fiscal effect of an avoidance of disposition order on share transactions. Co-author ‘The Detection and Preservation of Assets in Financial Remedy Claims’, (2014). Member of the Money & Property Working Group of the Family Justice Council. In the Divorce and Matrimonial Finance category he has regularly appeared as a Band 1 silk (and previously a junior) in Chambers & Partners Guides, and in the Tier 1 band in The Legal 500. “Nigel is exceptional in every respect. He has wisdom and fine judgement, and knows how to run a case with steel, but without unnecessary aggression. He is also the go-to choice as a private FDR judge – if he can't settle your case, no one can." 2016 - "Highly regarded by his peers as a consummate performer. ..Sources highlight his sound preparation of his cases and his pleasing courtroom manner. He is one of the best silks to work with. Always perfectly prepared, he reads everything and absorbs all the detail. He has terrific judgement and a lovely bedside manner. He can equally cope with captains of industry and people who are completely unused to the legal process." (2012 -2015) described him as a leading silk who is: “excellent with clients” ..“very calm and unflappable” ….“could defuse a bomb with his negotiation skills” and “he gives you complete confidence that you will get a first rate performance”… he is “..always well prepared and highly persuasive in his arguments”….and “a very good cross-examiner”. Nigel is married with two children. Away from the Bar he is a green-fingered gardener, enthusiastic runner and tennis player. Nigel also enjoys the theatre, music and opera.